I love making breakfast for my family, whether it's for breakfast on the weekend or for dinner on a dreary night. It's one of our favorite meals to eat together, and there's just something about eating breakfast as a family that is so special to me. Brings back memories from my childhood I suppose. After I saw the original recipe for this bread on another blog, and her idea to use it as French Toast, I knew that I'd be making that asap, but of course with my own french toast recipe! Now this is my normal recipe for french toast, that I just happened to make with the Orange Cranberry Bread. But this recipe is phenomenal with your normal white bread, or a delicious egg bread. I genuinely hope you enjoy this recipe, it was such a delightful treat for us! Slice the bread in 1/2 inch slices. In a shallow dish, beat eggs and add in remaining ingredients. Mix together til combined. Heat a skillet over medium heat, and spray with cooking spray. Once the skillet is hot, dip the bread in the egg mixture and evenly coat both sides. Place on the skillet and cook about 2-3 minutes per side til nice and golden brown. Repeat with remaining slices. Serve warm with maple syrup, or syrup of your choice and whipped cream (optional). 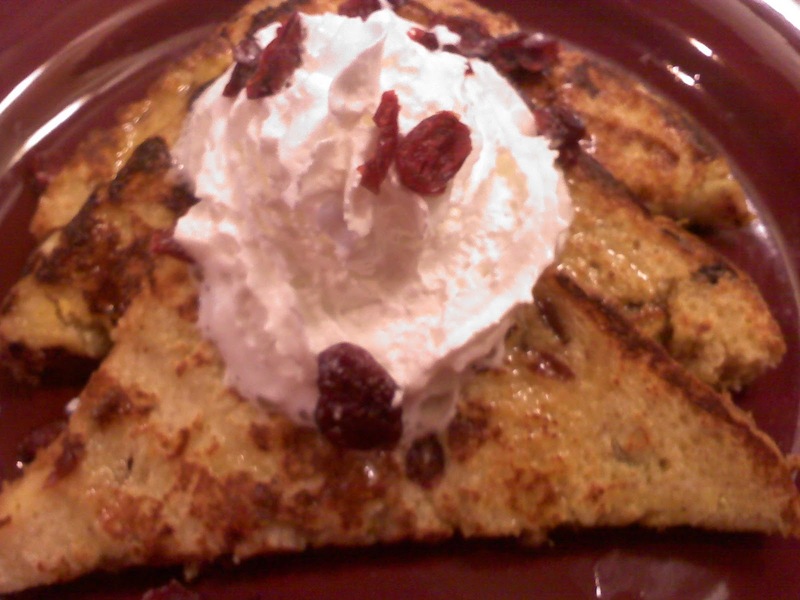 This french toast, especially with the Orange Cranberry Bread is seriously delish. It's light and refreshing compared to regular french toast. 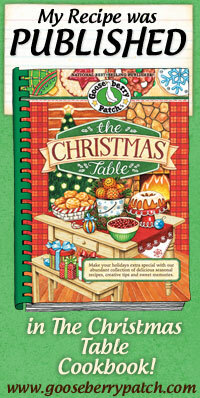 We gobbled this up so fast, I'm already thinking about making it again! Now The Farming Tot wouldn't try it, he was in one of those moods, but he said it looked nummy. lol! 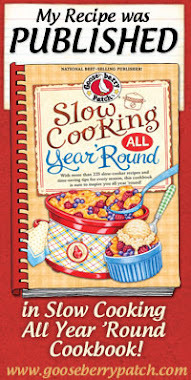 I very highly recommend this for your next breakfast meal, with a nice hot cup of coffee or hot chocolate, and topped with some maple syrup, whipped cream and a sprinkle of dried cranberries.... Ok now I'm hungry! 4.5 stars.